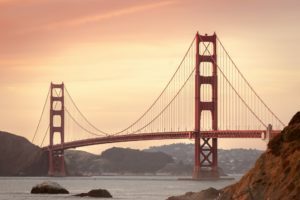 If you live in California and have been researching Medicare Supplement plans then you probably have heard of the “California Birthday Rule.” This rule is unique to CA and has to do with your Medicare Supplement plan. The CA Birthday Rule allows folks who currently have a Medicare Supplement plan to change companies, to a plan of equal or lesser benefit, each year, around their birthday, without having to answer any health questions. In just about every other state (besides Oregon and Missouri), you can only change Medigap plans by answering health questions and getting approved in health underwriting. The main reason someone would want to change plans is to take advantage of lower rates. 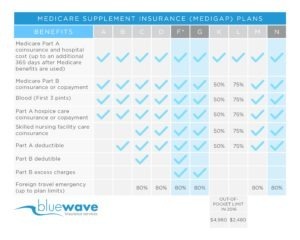 In CA there are over 20 different insurance companies offering the same Medicare Supplement plans. The only difference between them is the price. For example;, John has a Medicare Supplement Plan F with UHC/AARP and his rate increased to $200 per month. John’s birthday is in July. We contact John to review his options (as we do each year with all our clients) with him and let him know Mutual Of Omaha is offering Plan F at $150 per month (exact same plan). Because John had a few heart stents put in last year he normally would not be able to change. However, using the CA Birthday Rule we can move John to the lower rate with Mutual Of Omaha around his birthday. We submit the application to Mutual Of Omaha and John is now saving $600 per year, compared to what he was paying before. Because of this rule, it can make sense to start on Plan F in you live in CA. I am a big advocate for Plan G, as it saves you more money in the long run. However, in California, starting on Plan F allows you to move down to Plan G on your birthday the following year or at any point in the future. When Would The New Policy Take Effect? Using the CA Birthday Rule, the new policy would take effect the 1st of the month AFTER the birthday. So, with most companies, the price of the new policy would reflect your new age (1 year older). The application can be done the month before the birthday or the month after but the effective date (almost) always has to be after the birthday. Most carriers require the application to be within 30 days, before or after the birthday. The effective date has to be after the birthday, so the new premium will reflect your new age. What Is Involved In The Application? With most insurance companies in California, they will ask for a picture of your current Medicare Supplement ID card and proof that your policy is currently paid. This is usually a snapshot from a bank statement (account numbers removed) or some other proof that the policy is active and paid up. There are a few CA carriers that don’t require any proof at all. Contact us at (800) 208-4974 to find out more about the birthday rule and we can tell you how much you can potentially save!